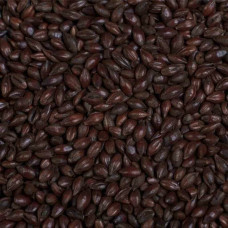 Black Roasted malt is recommended for Stout and Dark Milds. Caramalts are used to give colour and flavour to pale Lager beers. They can improve the stability of a beer by preventing the formation of oxidised (cardboard) flavours. 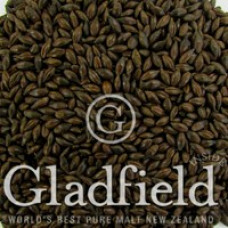 Peated malt is used by some malt distillers to impart a smoked or peaty flavour to their spirit. 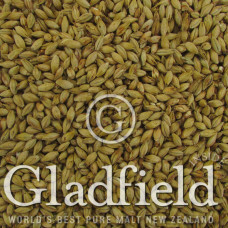 This type of malt may also occasionally be used as a very small inclusion in brewers’ mashes to produce beer with a smoked character. 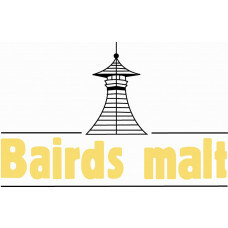 Peated malt is made using exactly the same production regime and barley as (plain) distilling malt during kilning. The peat smoke is absorbed onto the surface of the drying malt which, when processed, imparts the smoked peaty flavour to the finished product. Crystal malts produce sweet toffee-like flavours and are sufficiently converted that they can be steeped without mashing to extract their flavour. Some of the sugars in crystal malts caramelise during kilning and become unfermentable; hence, addition of crystal malt will increase the final sweetness of a beer. They contain no enzymes. Very low colour malt. Adds malty, fruity and toffee notes. Increases body/fullness and gives a softer, rounder mouthfeel. Aurora has been developed to produce rich bready, fruit cake aroma and orange/red colour. It is ideal for dark ales, Belgium style and high alcohol beers. 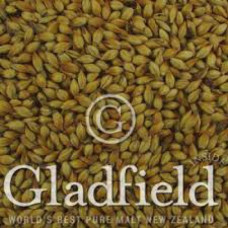 Gladfield Brown malt is a stronger version of the biscuit malt but made from green chitted malt. This allows good colour build up with out the astringency from husk damage. 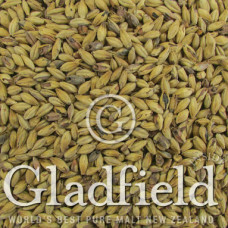 This malt will impart a dry biscuity flavour to the beer along with nice amber colour. Ideal in Porters, Stouts, Dark Ales or Dunkels in careful amounts. 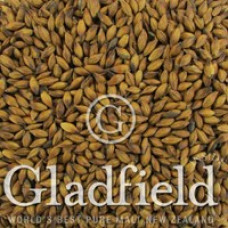 Gladfield Crystal Malts are made in a specialized roasting drum. The emphases are on sweetness and evenness of crystallization. The evenness of colour is achieved by using the latest technology in malt roasting and heat recirculation. Crystal malts can be used in varying amounts and intensities to an array of beer styles to add colour, flavour, and aroma to the beer. It is important to use crystal malts fresh to get the best results.